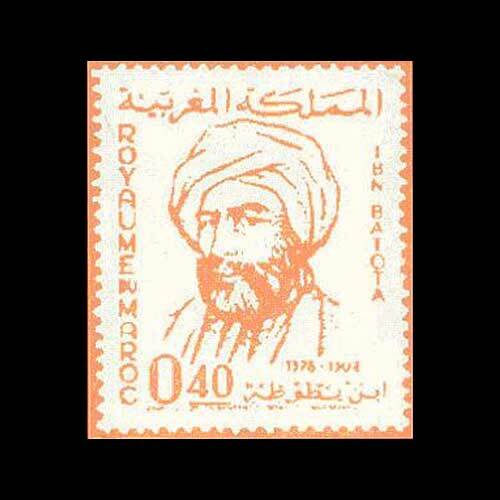 The Moroccan traveller Ibn Battuta is known as the greatest traveller of pre-modern times. Leaving his homeland at the age of 21 to make the holy pilgrimage to Mecca, he performed a series of extraordinary journeys that spanned nearly three decades. "I left Tangiers, my birthplace on Thursday 2 Rajab, 725 (AH) with the intention of going on pilgrimage to Mecca. I was alone, without companions, not in a caravan, but I was stirred by a powerful urge to reach my goal (Mecca)… I left my friends and my home, just as a bird leaves its parental nest. My father and mother were still alive, and with great pain, I parted with them. For me as for them, it was a cause of insufferable illness. I was then only twenty-two." His journeys covered almost the entirety of the known Islamic world, extending from present-day North and West Africa to Pakistan, India, the Maldives, Sri Lanka, Southeast Asia and China. Near the end of his life, he dictated an account of his journeys, titled A Gift to Those Who Contemplate the Wonders of Cities and the Marvels of Travelling, simply referred as ‘The Travels’. This account of his journeys provides a picture of the medieval civilization that is still widely consulted today.